The Disney classic remake is quite a tear-jerker. After ‘The Jungle Book’ and ‘Beauty and the Beast’, ‘Dumbo’ is the latest release to join the lineup of Disney’s live-action remakes of their animated classics. 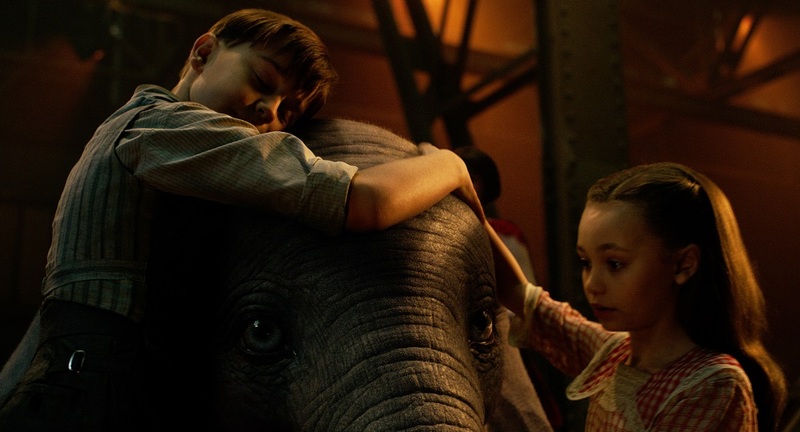 Inspired by the 1941 cartoon of the same name, the movie expands on the well-loved story set in a circus about a baby elephant who is born with large ears that somehow act as wings, giving him the ability to fly. The all-new film transforms into a grand fantasy spectacle, taking after the direction of the visionary Tim Burton. 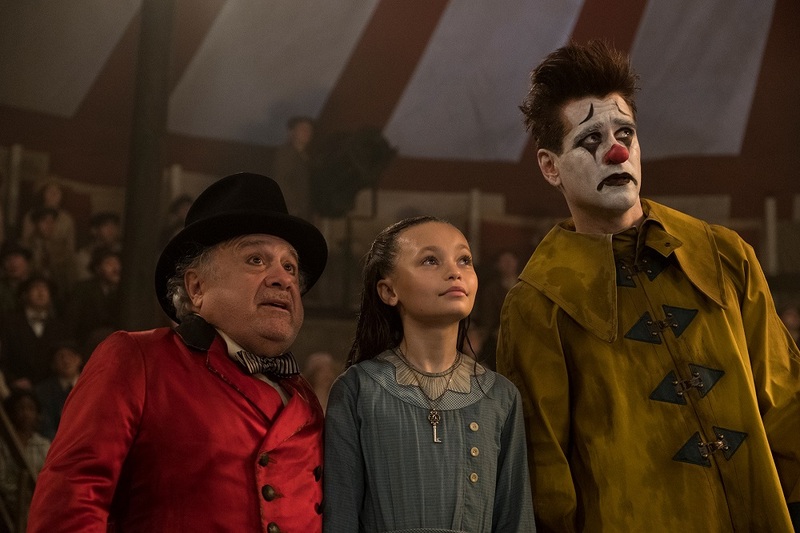 In this reimagined ‘Dumbo’, former circus star Holt Farrier (Colin Farrell) returns to his children Milly (Nico Parker) and Joe (Finley Hobbins), and former home at The Medici Circus after the war. 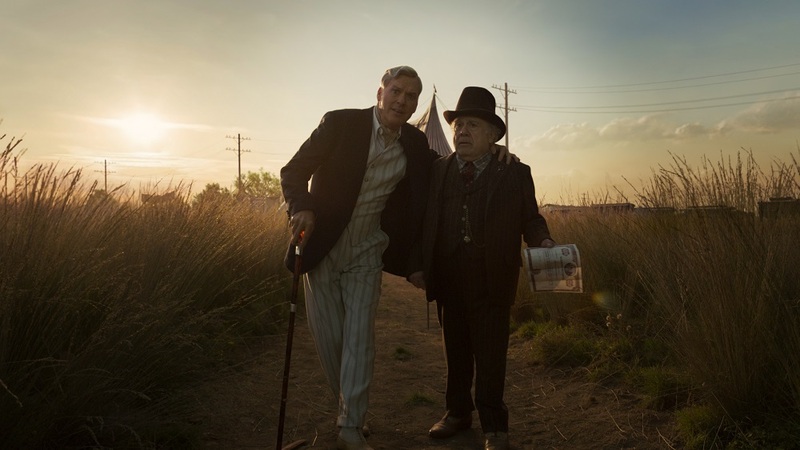 After losing an arm during the war and his wife to an illness, circus owner Max Medici (Danny DeVito) recruits him to take care of a newborn elephant whose oversized ears make him a laughing stock. When they discover that Dumbo can fly, the failing circus is revived and catches the eye of persuasive businessman V. A. Vandevere (Michael Keaton). He decides to take the entire Medici troop, as well as Dumbo, of course, to his new and larger-than-life entertainment venture, Dreamland. 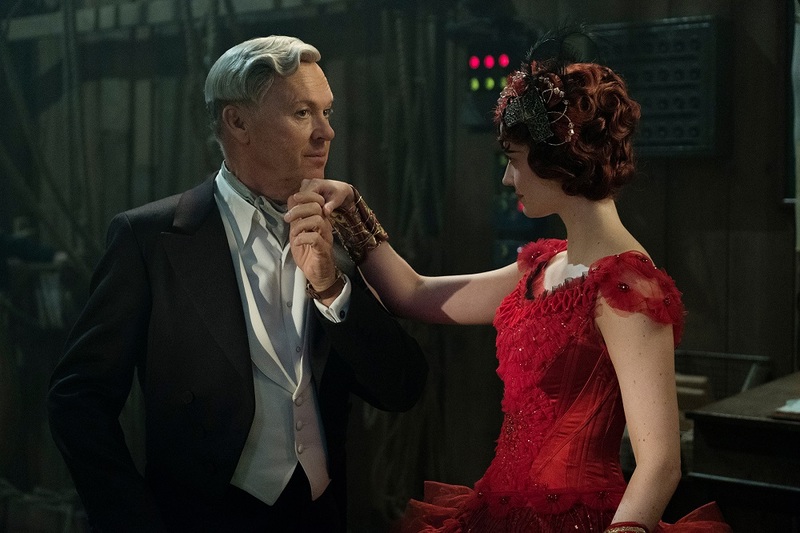 The little pachyderm soars to new heights as he performs alongside the elegant and talented aerial artist, Colette Marchant (Eva Green). However, behind the shiny veneer of Dreamland lies a place full of dark secrets. We were able to catch an early screening of the latest ‘Dumbo’ and here are some things we love about the Disney remake. The original animated film is only 64 minutes long, which is almost unheard of in cinemas today, while the remake is just under two hours. 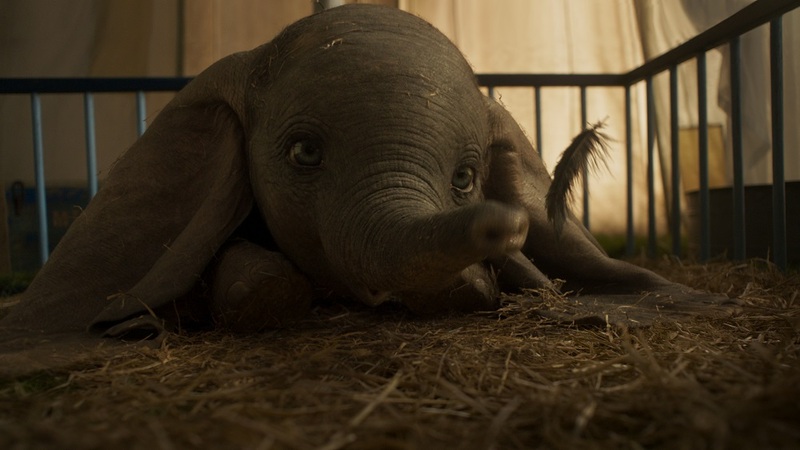 The live-action ‘Dumbo’ fleshes out the heart of the story, which is the tear-jerking moment when Dumbo’s mother is separated from him. Any child that is forced to be apart from their parent is always heartbreaking. So, you can imagine how painful it is to watch poor little Dumbo face the world alone without his mother. But thankfully, he has Milly and Joe who develop a special bond with the baby elephant. In fact, they were the ones who discovered that he can fly! Besides highlighting Dumbo, the story in this remake is also about celebrating differences, cherishing family and allowing dreams to take flight. ‘Dumbo’ will take you on an emotional roller coaster ride from the time he is born, to the time he learns to soar in the air, right up to the nerve-wracking display at Dreamland. 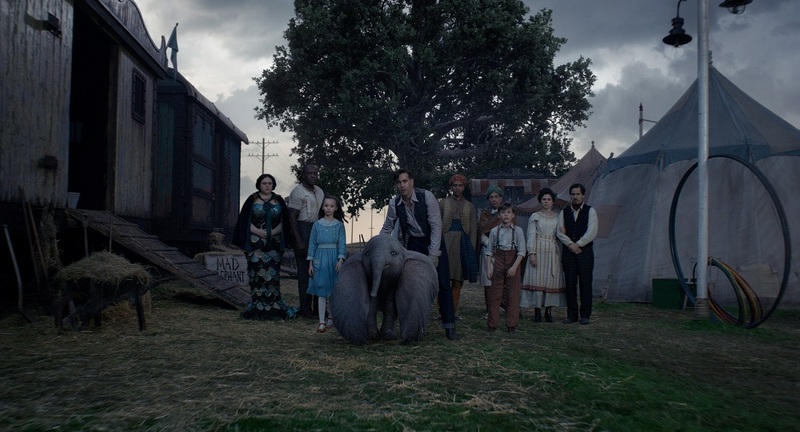 Unlike the classic ‘Dumbo’ which has a mouse named Timothy as Dumbo’s only true friend, the live-action remake is anchored by human characters. You would think that Holt would be a grumpy war veteran after coming back home with one arm less, but you can relate to him, especially when he tries his best to bring his family’s life back to normalcy. We see a lot of Milly, the young girl who aspires to be a scientist one day. She is also the one who pushes for Dumbo’s talents to be put to good use and insists that he is reunited with his mother. On the other hand, her brother Joe is almost pushed to the sidelines with not as much screen-time as her. Mr. Medici is a joy to watch and his character somewhat reminds us of Danny DeVito in most of his movies. In other words, he brought himself into the role. What struck us most, other than Dumbo, is the stunning Colette. The character is actually based on Colette Janine Marchand, the ballerina and actress who was nominated for the Academy Award for ‘Best Supporting Actress’ for her performance in the 1952 film, ‘Moulin Rouge’. Eva Green did most of her stunts up on the trapeze alone! She had trained with professional circus performers to prepare for her challenging role, and her hard work certainly paid off in the movie. 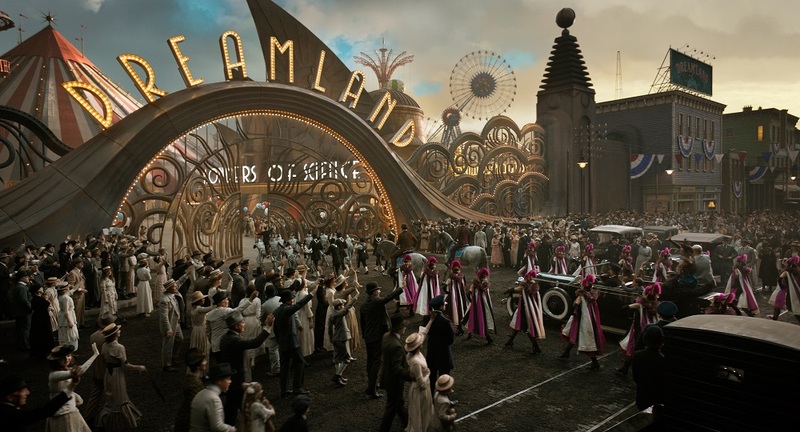 Since it is a Tim Burton film, you know that you will be getting a fair amount of eccentric scenes in ‘Dumbo’. Although the overall look and feel doesn’t necessarily appear very Burton-esque and his usual creepy flair, his Art Deco elements are clearly visible in the circus, especially during the Dreamland sequence. The director also reinvents one of the classic’s most imaginative and charming moments, the famous ‘Pink Elephants On Parade’. In ‘Dumbo’, this scene is done entirely through pink giant bubbles and baby Dumbo admiring the entire spectacle on the sidelines in utter awe. The little fellow’s expressions in this scene are priceless. 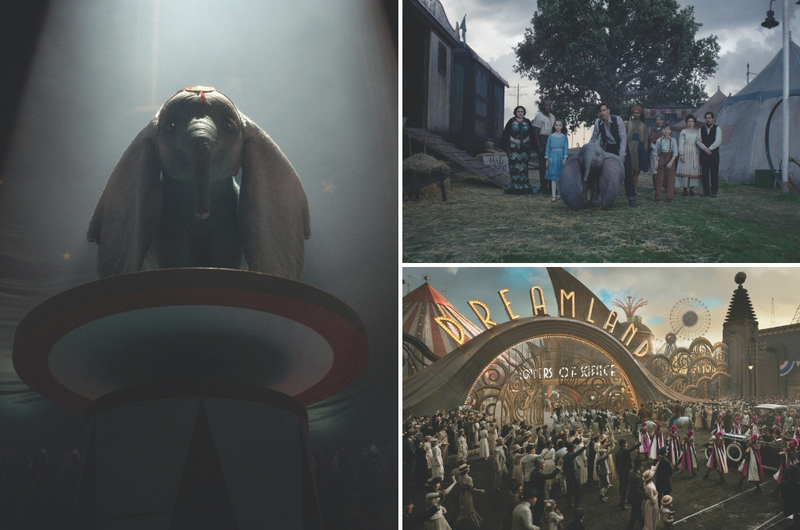 The live-action remake utilises state-of-the-art visual effects to portray Dumbo as well as his other four-legged counterparts in the film, which brings us to our final point. Dumbo deserves an honourable mention in this remake. The only word we can use to describe Dumbo here is adorable. Every emotion the baby pachyderm feels is expressed so genuinely through his eyes. It makes you just want to give him a tight hug and big squish to cheer him up. And when his face lights up with joy, you will feel all warm and fuzzy on the inside. Can you believe we’re talking about a computer-generated elephant here? Contrary to what you may think, there was no elephant in the room during the whole filming process! 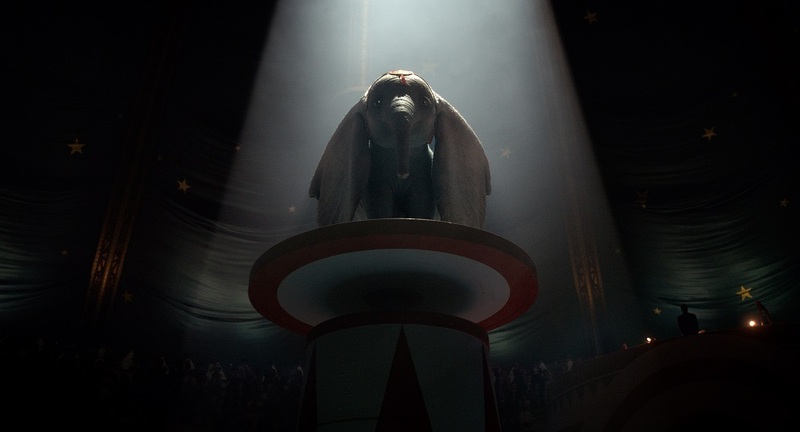 The production team used a life-size Dumbo model with a detachable head and ears on set for lighting and reference purposes. As for scenes that required a lot of movement, they had Edd Osmond, the well-known creature performer who portrayed the ape in the 2013 ‘Tarzan’. He studied the movement of baby elephants and dressed in a bright green suit to give the cast something convincing to act with. You wouldn’t believe that the Dumbo you see in the movie was only added in post-production and the stars only got to see him in his entirety just weeks into the cinematic release. It is amazing how they made the hugs look so real! Now, we really want a Dumbo soft toy. 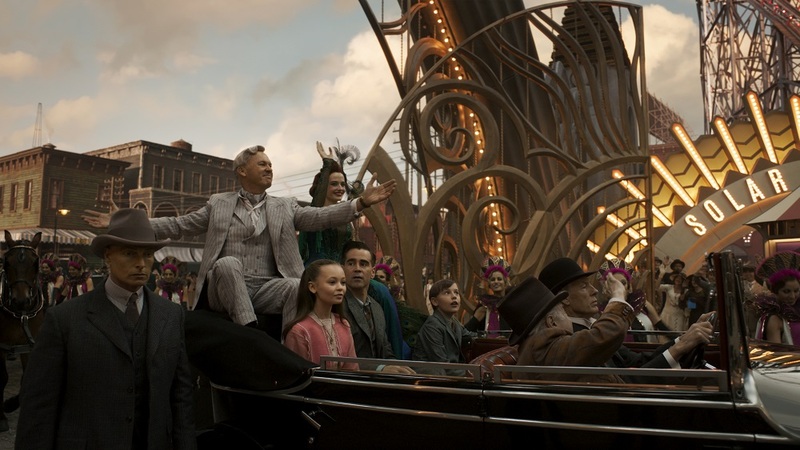 The live-action remake of ‘Dumbo’ has some hits and some misses, namely in the character development of everyone besides Dumbo. But we always appreciate a decent Disney movie. 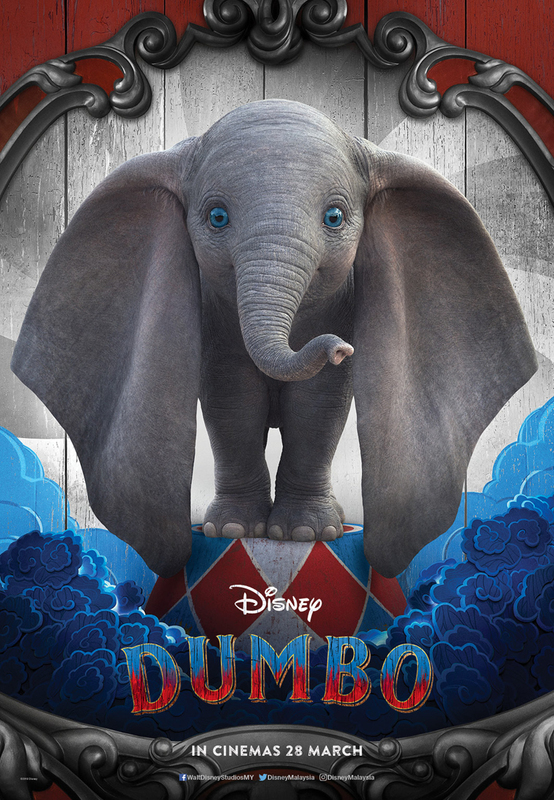 And for a classic from the 1940s like ‘Dumbo’ that we and probably our parents saw in our childhood, we will be dreaming of Dumbo with a smile on our faces in the nights to come. So, bring your friends and families to the theatres for a fantastical journey down memory lane! ‘Dumbo’ flies to cinemas nationwide 28 March 2019.